This is a great quote and a great photo as well! This photo is the definition of fear yet this is how we often view many of the life choices that we contemplate making. Sometimes the fear of undertaking any new goal is far greater than it should be and we hold back from accomplishing our goals. 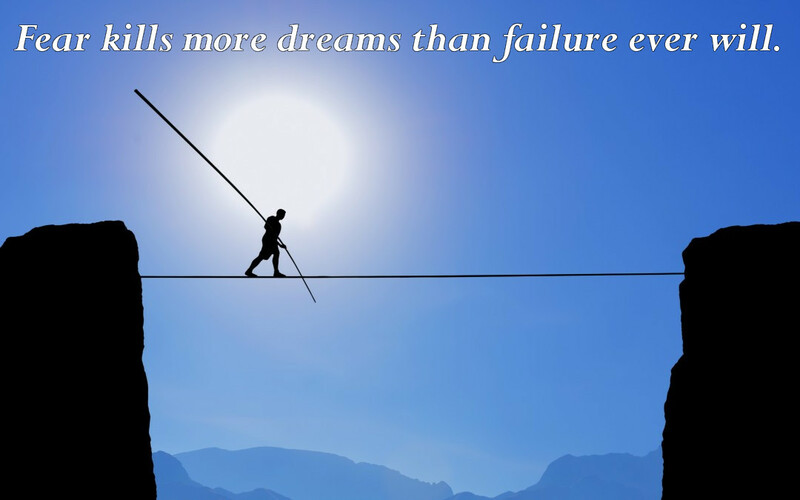 The very fear of failure is so great that many of us never even attempt to accomplish what we truly want. Thus we should always ask ourselves if that fear that we may have is truly justified or if we are simply holding ourselves back. Another great concept to remember is that the fear of failure maybe strong, but it pails to the fear of regret of not giving our all for the things we really want. So shove fear aside and live the life you truly want to live!